Updated list including another CB visit. Pilfered this from TST but here's a list of the last two years draft picks. Get changing those mock drafts to include mostly seniors and Senior Bowl attendee is a big bonus. I'm sensing a pattern here...can't quite put my finger on it. I saw this in the NFL Gen thread and wanted to bring the idea to our forum. Would you trade the #31 pick for Jadaveon Clowney? 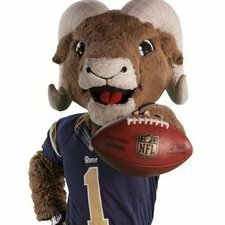 And do you think the Rams are considering it? I know we tried trading for him at the deadline and it didn't come to fruition. We then traded for Fowler. Is it still a possibility? My take: I'd gladly trade#31 for Clowney straight up, but I have no idea how the financials would work or if they're even possible. I wouldn't. We aren't going to be able to sign Clowney to a long-term deal, presumably so it would be a 1 year rental and then we'd just get a comp pick back. Clowney to me isn't worth that. We can't keep losing draft capital for assets. I've been on board for every trade thus far besides the Cooks trade but was clearly wrong about that as it worked out perfectly for us. No and no. For one very simple reason, how the holy hell are we going to pay him and everybody else? If an Edge is that important take one at 31 or trade up for one. Calling this a pipe dream is an insult to pipes and dreams. The point of posting was just to foster discussion during a dead time lol. I've made my stance pretty clear that I'm going all in last year and this year before Goff gets paid because after that we will drop off to a WC level team instead of serious contender. Now, if we had Clowney for just 1 year and received a comp pick back (3rd) because we can't pay him, I'm all for it. The caliber of player we will get at #31 would not be on Clowney's level so I'd pull the trigger knowing it would be a 1yr rental, but that's just me. Superbowl winners, or losers, are proven to bring in vets on cheap deals looking for rings. We saw that this year with Clay and Weddle. So we could theoretically restock starting spots with cheap vets after next season as well while we still groom our later draft picks. Sorry reread what I put and that came across a lot more harsh than I intended it to. 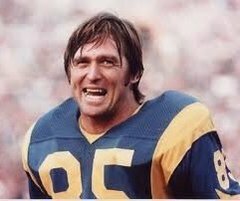 The common line from people not Rams fans is that we're playing with the salary cap off and we sign whoever we want. They then think yeah they could use an edge and they obviously cheat the salary cap lets mock Clowney to the Rams. In reality there is no human way we can afford him it's just not possible.